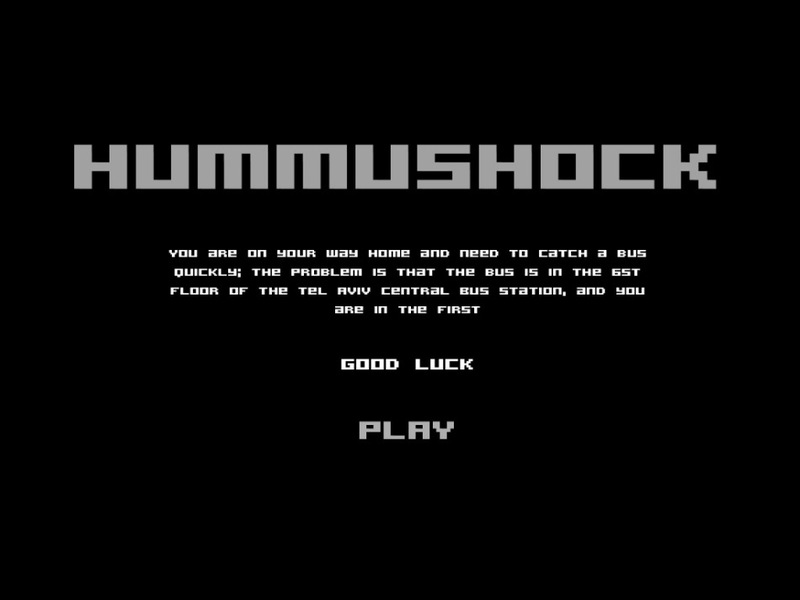 A platform game based on the semi abandoned monstrosity known as the Tel Aviv Central Bus station. Tel Aviv Central Bus Station is the 2nd biggest in the world It's also one of the strangest, creepiest place that I know.The building is built as a confusing maze of stairs, platforms and elevators “The Israeli architect responsible for the hulking concrete monolith was a champion of a fortress-like, blockish style of construction called Brutalist. And it is indeed brutal to find yourself in an M.C. Escher painting of escalators and staircases leading nowhere." it is home to an abandoned arcade, six underground movie theaters, a bunker that can withstand nuclear holocaust and an unfinished bus tunnel so overtaken by bats that it has been declared a nature preserve. 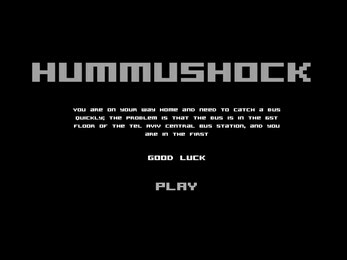 the idea was to create a simple platform game that “honors" the station and the experience of getting lost in it while trying to reach your bus on time. The players is someone that is trying to get from Tel Aviv to Jerusalem, he is dropped in the first floor of central bus station and need to get to the 6th floor in order to take the 405 bus to Jerusalem.